Dr. Rajesh Dhopeshwarkar completed his MBBS from B.J. Medical College, Pune in 1992 and MD- General Medicine from MP Shah Medical College, Jamnagar, Gujrat in 1997. He did DM Cardiology at All India Institute of Medical Sciences, New Delhi in 2003. Worked as a Physician at N.M. Wadia Institute of Cardiology and Sasoon Hospital from 1997-1998. Worked as a Cardiology Registrar at Sanjay Gandhi Institute of Medical Sciences, Lucknow in the year of 1999. After finishing his Cardiology training in 2003, he worked as a Cardiologist in Pune and subsequently at the KLES Hospital Belgaum. 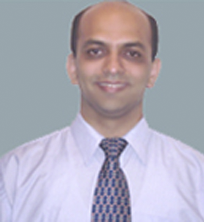 He is working as a Consultant Interventional Cardiologist and Electrophysiologist in Pune.